Congratulations to all our winners of the IMR Manufacturing & Supply Chain Awards. The awards were held on January 17th, City West Hotel Dublin. Valeo Vision Systems, based in Tuam, is part of the world’s largest provider of driving assistance systems to the automobile manufacturers globally. They are at the cutting edge of developments for pedestrian detection, cross traffic alert, automated parking as they drive to meet the global demand for Autonomous driving applications. 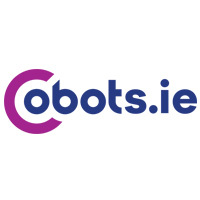 In recent projects in Tuam, which contains the Groups largest R & D centre , they developed Cobots . These robots working alongside production technicians are used to enhance quality , reduce waste and improve productivity . These key factors influenced the Judges in the decision to nominate Valeo Vision systems for the Best use of Robotics Award. DesignPro came out the winners of the Industry – Research Award, based on their €260, 000 project working in Partnership with the University of Limerick to further develop a robotic solution to endoscopy The project aims to improve patient safety, implement remote real-time control of the endoscope and further develop the passive safety system which assists the surgeon during the endoscopic procedure. The new robotic system will have passive safety features preventing sudden movements: a significant safety hazard in the existing manual procedure. It will record all surgeon input, allowing a database of successful procedures to be captured that can later be leveraged to improve training. Croom Precision Medical operates an award-winning Research, Development and Innovation (RDI). This has resulted in high competency in Co-Bottices, Metallic Additive Manufacturing and Advanced Machining. Their recent project to manufacture a peritoneal dialysis system for a client was evidence of their expertise in these areas. They cultivate innovation within their working environment and continuously implement more effective and efficient manufacturing processes for both existing and new products. The management skills at the forefront of their Peritoneal Dialysis project, one of many with a wide range of medical devices companies was that of storming, forming, norming, and performing in real –time with the client. Croom Precision Medical is an FDA registered company. They operate an Integrated Management System (IMS) which is accredited to both ISO standards and also manufacture and supply a range of CE approved machinery for the medical device industry. A lot of us have grown up sleeping on Briody beds, made in their manufacturing plant in Ballinrink, Co Meath. A family business set up in 1974. by Benny Briody and his wife, Bríd, the name Briody has been synonymous with sleep—the kind of deep, energizing sleep from which you awaken refreshed and ready for the day. The company is now run by their daughter Bridget and sons, Martin, Brendan and David. The tradition of handmade bedding and furniture continues at the plants in Ballinrink using the latest in modern technology ensuring affordability but never compromising on quality. The judging panel was particularly impressed with the company’s complete review of all its work practices from a Health & Safety point of view. Creating a staff training and work methodology for each aspect of the business, as well as investing in new automated handling systems, to eliminate as much as possible manual handling, was a major undertaking in this kind of business. The results of the imitative were exceptional, a dramatic fall in accident rates, a surge of 20% in production efficiency and a happy workforce going home fresher than ever before. This was a major undertaking by a small company, with tremendous outcomes, showing the value of health and safety based initiatives. The passion for the environment and sustainability is embedded into the core of everything Java Republic do . They work hard to ensure and protect our carbon neutrality status each and every year. In 2008, Java Republic opened our unique custom-built Roastery in Ballycoolin, Dublin. In 2011 they were officially awarded carbon-neutral status, meaning that they can proudly say that they have the first purpose-built carbon-neutral Roastery in the world. Since then they have continually worked towards sustainability and protecting the environment in every and any way possible. The goal is to reduce the amount of carbon dioxide it takes to produce 1kg of coffee by 1% year-on-year. Other steps they have taken include the introduction of their compostable and reusable cups, and recycling of coffee sacks and coffee chaff to name but a few. They are always looking at new ways to protect our environment. For a number of years, they have worked closely with Carbon Clear, a world leading provider of carbon and energy management and sustainability services. Through them, they purchase carbon credits in projects worldwide. Up until last year, they were involved with the Wayang-Windu Geothermal Power Plant in Indonesia. In addition to reducing greenhouse gas emissions by 794,000 tonnes per year, this project also planted 500,000 trees and supported communities by offering scholarships to 3,000 students. This year, they are supporting a new project in Peru which preserves 1,000 hectares of Peruvian Amazon from deforestation. Their philosophy is Coffee with a Conscience, which means that they go deeper than anyone to respect the people and respect the environment. They continually look at new ways to ensure that they always go above and beyond. OPTEL based in Limerick was awarded the top prize of Supply Chain Partner of the Year for its submission outlining the development of its Intelligent Supply Chain™, which combines the company’s recognized traceability expertise and the power of cutting-edge technologies such as cloud-based computing, artificial intelligence and the Internet of Things. OPTEL serving Ireland for 30 years is the world’s leading supplier of traceability solutions and the only company with the ability to provide end-to-end traceability at every step of the supply chain. On the pharmaceutical front, the company’s technologies can stop counterfeiting, preventing patients from taking ineffective or harmful medications and saving thousands of lives every year. In September 2016, Ornus celebrated the official opening of Kerrygold Park, a €38 million state-of-the-art Kerrygold butter production and packing facility in Mitchelstown, Co. Cork. The production facility will have a capacity of up to 50,000 tonnes of butter per annum. However, for a new factory, there were many challenges in reaching the volume targets. The judges were very impressed by the efforts of Eric Dunlea and his cross function team who managed the process of shifting the plant from a 24x 5 to a 24×7 manufacturing unit with no staff count increase. This was an amazing efficiency project utilising a cross-functional team of Operations staff, quality staff and technology staff. In the process, they embedded a new culture in the company. Cross training played a significant role in the success of the project ., which enabled them to meet customer demand and financial targets. Key Plastics Ltd, located in Bray, Co Wicklow, is a single destination solution provider offering custom manufactured solutions in metal and plastics to industries such as aerospace, medical, telecoms and engineering. Key Plastics have combined mould design, mould manufacture and precision engineering services with state of the art injection moulding capabilities to support their world-wide customer base. By providing full project support teams from concept to prototyping and validation to mass production, their customers realise not only a streamlined procurement process but are guaranteed a competitively priced solution, on-time deliveries at superior quality levels. Key Plastics provide a unique team of Mould designers, Toolmakers and, Machinists, combined with experienced engineers and technicians working with the client’s design team to create innovative solutions to meet end customer requirements. Advances in the industry are being driven by the increasing intelligence of edge devices and the better visibility of data to inform high-level decision-making. The Factory of the Futures, smart manufacturing and Industry 4.0 innovations will decide the winners and losers of the next generation of industry. The gains in productivity and profitability that intelligent devices and advanced automation can provide are changing the entire landscape of energy, robotics, and manufacturing. Intel is supporting this transformation with the latest Intel Atom, Celeron, and Pentium processors and the enhanced determinism offered by Intel TCC Technology. With these new products, and Intel’s enhanced security and scalable architecture, industrial organizations can move their businesses forward with greater effectiveness than ever before. Cook Medical company provides minimally invasive technologies that are designed to eliminate the need for open surgery for patients worldwide. Cook Medical in Limerick focuses on meeting the needs of clinicians in the areas of gastroenterology, peripheral vascular intervention, and urology. The original greenfield plot was established as a small-scale manufacturing and technology transfer site. After undergoing two expansions, it has become a hub for global R&D projects and business development at the Limerick Innovation Centre and its Europe Shared Service Centre. The site now supports 600 sales representatives and clinical product specialists across Europe; and distribution teams throughout Eastern Europe, the Middle East and Africa (EMEA). Cook Medical has won the award for the efforts of a cross-functional health and safety team who have blazed a trail in creating best practice across the company and used innovative communications to get full buy-in across the Limerick plant. The Pfizer Ringaskiddy complex is the largest Pfizer production facility outside the US. The plant produces Active Pharmaceutical Ingredients (APIs) for Viagra, which accounts for 15% of its total output. 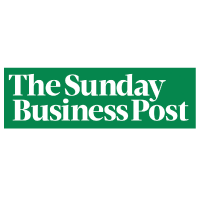 The company also produces around 17 other products, including Norvasc, which is used in the treatment of hypertension and angina and is one of Ireland’s largest sources of investment. Xxxx and his Biopharma Manufacturing team of 8 colleagues are responsible for all aspects of the process, providing a robust supply chain and planning function that ensures all Pfizer Ireland pharmaceutical bulk API products, ensuring all plans are integrated, linked and shaped to deliver on customers’ requirements. In the opinion of the Judges, this is a dynamic team who with innovative use of Visible Synchronised Planning (VSP) and Highly Orchestrated Supply Network techniques ( HOSuN ) , drive excellence in the Pfizer supply chain. The team achieved increased performance and productivity through the use of these innovative tools, enabling Pfizer to deliver new medicines to patients faster than ever before. The Depuy Synthes facility in Ringaskiddy, Co Cork, which produces replacement hip and knee joints, achieved the Judges Award for using the technology to make old machines talk to one another. This was smart. And creating Digital Twins of Haas Grinders in collaboration with Siemens, which was even smarter. The result has been a 10 per cent reduction in operating costs and a 5 per cent drop in machine downtime. Big results for the profit line. The plant is one of nine named by the World Economic Forum (WEF) as the leading factories globally for embedding new technologies such as IoT into modern production. The facilities were selected from an initial list of more than 1,000 manufacturing companies based on their successful implementation of so-called “fourth industrial revolution” technologies. Depuy Synthes, which employs more than 1,000 people at the Ringaskiddy plant, is a subsidiary of healthcare giant Johnson and Johnson. It manufactures orthopaedic products including hip and knee replacement joints. The company first established operations in Cork in 1997. It carried out a €53.2 million expansion at the plant three years ago. Boston Scientific established its Clonmel operation in 1998. The site specialises in the development, manufacture and distribution of Implantable pacemakers and defibrillators for the Cardiac Rhythm Management (CRM) business. Making the impossible possible for millions of people around the world is no ordinary achievement. That is why they have put so much effort into staff development . Adaptability through CPD (Continuous Professional Development) is one of the systems that Boston Scientific provides to employees with back up support of mentoring and culture coaching. Staff at the Clonmel facility include engineers and technicians working across the disciplines of mechanical, electrical, software, electronic, industrial and chemical. Boston Scientific continuously invests in its engineers, which has led to benefits both in the international markets it serves and the communities in which it operates. A strong mentoring programme is in place featuring an L&D (Learning & Development) Specialist who is an accredited coach with the International Coaching Federation. Two coaching programmes have been recently developed. New engineers have individual peer mentors assigned to help them understand our engineering process. Additionally, Talent Management Programmes are in place to develop future leaders at an early stage of their career and to enhance their skills and abilities. Horan Automation and Consulting specialise in industrial automation design, machine construction, PLC and machine integration as well as maintenance of automation systems. 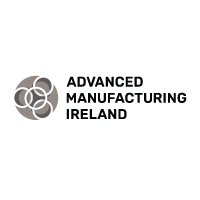 They are experts in manufacturing robotics and packaging for the Food, Healthcare, Pharmaceutical and Manufacturing industries in Ireland. And have over 20 years experience in robotics and factory industrial automation . Arrotek is located at the heart of the vibrant and innovative medical device industry in the West of Ireland. They have a proven track record of serving the leading medical device companies, along with making the ideas of inventors and entrepreneurs a reality. 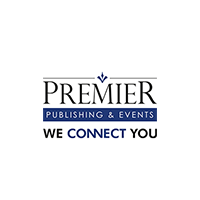 They offer a complete and full solution from initial concept to finished product. They also provide regulatory services to ensure your idea if fully compliant with CE, FDA or other requirements. Boston Scientific- Clonmel, are already winners of the Skills & Development Award and are also the winners of the Large Manufacturing Company of the Year Award . Making the impossible possible for millions of people around the world is no ordinary achievement. Depuy Synthes has proven beyond a shadow of a doubt that they have all the latest bells and whistles in manufacturing technology to be worthy winners of the Grand Prix award. The judges were particularly impressed with the sophisticated work done by Depuy in installing simple internet-of-things devices across a range of machines which were never intended to talk to each other and in the process created digital twins of its factory, equipment, providing real-time performance monitoring. Depuy Synthes has agreed to open their doors to other companies to share their experience of merging new technologies with older ones. Female business leader Galway woman Helen Ryan scooped the title for enabling Creganna-Tactx Medical to become one of the world’s top 10 medical device outsource providers. Her time as CEO ensured the company grew fivefold to become the largest indigenous medical device company in the world.